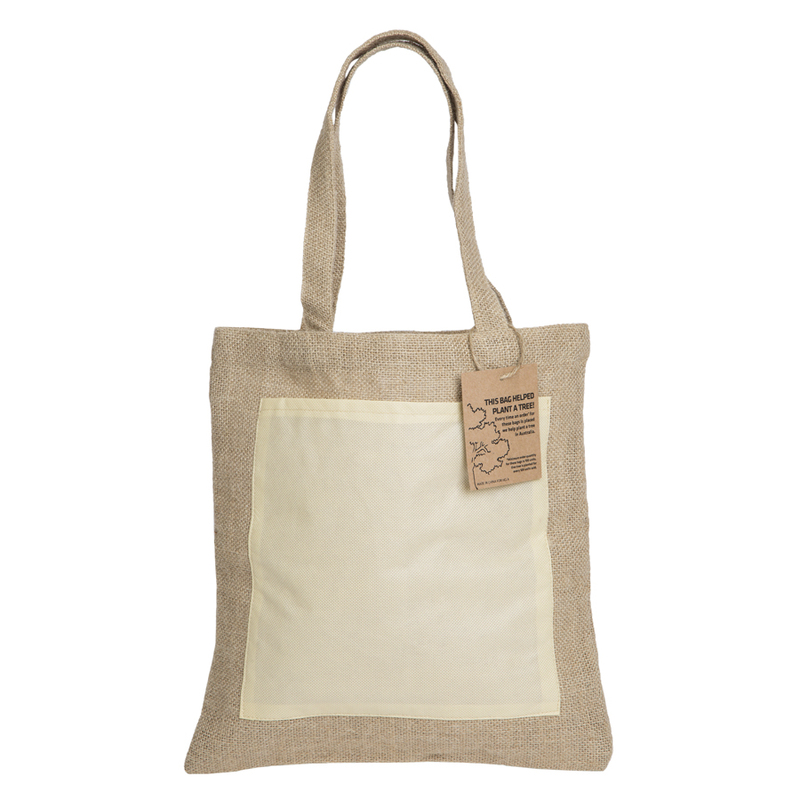 A natural jute tote bag that's great for shopping or everyday use. Announcing the Reforest Jute Tote bag. It is "the" choice for the environmentally concious. The purchase of these bags helps contribute to landscape restoration everytime an order is placed! It does this by donating and planting one native tree, replanting degraded land here in Australia for every 100 units sold. 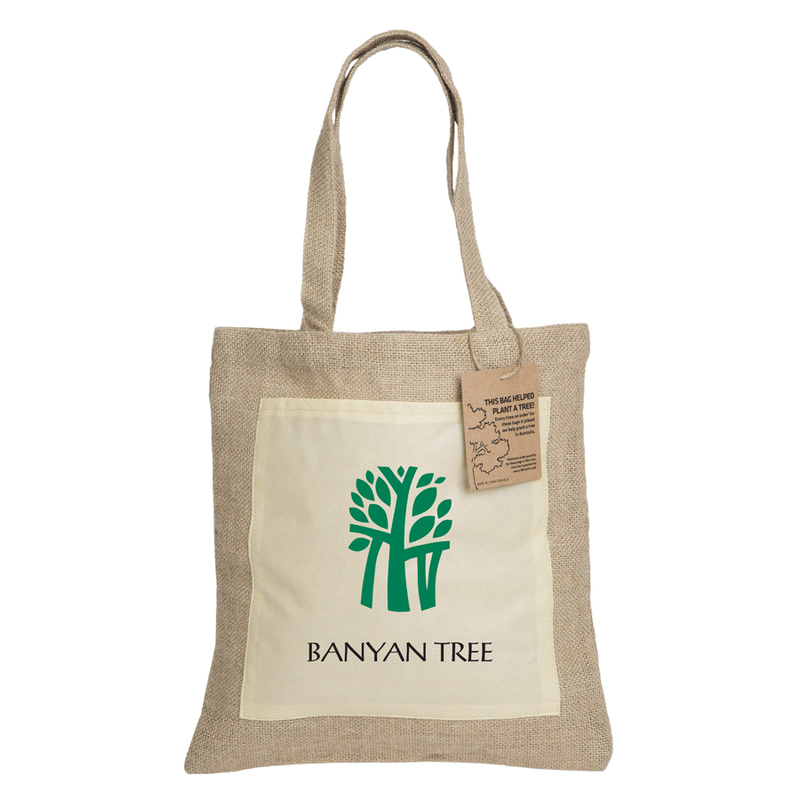 The bags are made from high quality vegetible fibre with a 90gsm non-woven pp front pocket. A beautiful bag that will help your branding and the environment!